The arrests come as LGBT community members say they have "never felt more vulnerable" in the city. Ch Insp Sarah Tambling, of West Midlands Police told an LGBT open meeting on Thursday that she is "convinced there have been more than three" attacks and encouraged any other victims to come forward. 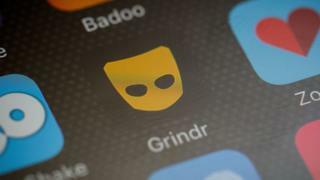 Grindr's safety guide advises meeting people from the app in a safe location and to "take as little with you as you can".